FSF is funded by individual and corporate donations and is run by volunteers with various backgrounds. The trustees are determined to provide the best and most personalised assistance they can to families and to work closely with parents’ associations. CFBL Parents is the parents’ association of Collège Français Bilingue de Londres. Since its creation, CFBL Parents has fostered dialogue and communication between the school and the parents, while working closely with CFBL’s management, local authorities and London associations. APLIL is the Parents’ Association of Lycée International de Londres Winston Churchill. It plays a very active role in the LIL Community. Families participate positively and actively in the life of the school outside the classroom by chaperoning local field trips, museum visits, volunteering, learning trips, organising bake sales or presentations (career day, specific areas of expertise) and much more. Friends of the Lycée supports French and bilingual teaching throughout the United Kingdom. The trustees can help finance school equipments, as well as renovation of school facilities, and contributes to innovative educational projects. Thanks to Friends of the Lycée, we have extended our assistance beyond the allocation of emergency funds and helped students to complete their education in both schools. 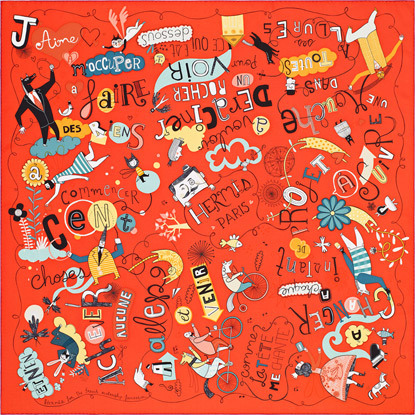 In 2016, Hermès created a limited edition silk scarf. All sale proceeds were given to the French Scholarship Foundation. 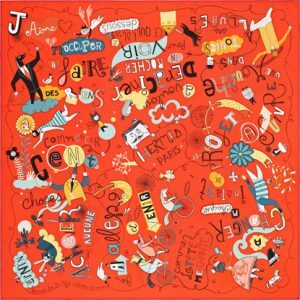 The scarves were available at Hermès stores in London as well as online and are now out of stock.